Kenneth Minor during his sentencing hearing, April 4, 2011. 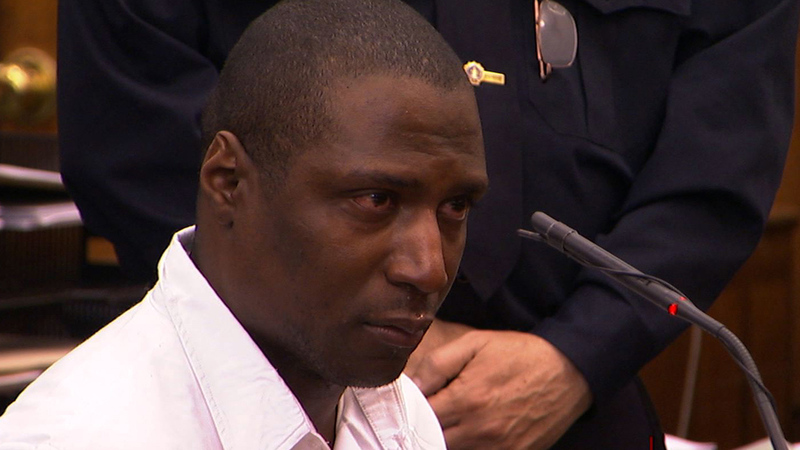 (CBS/AP) NEW YORK - Kenneth Minor, a man convicted of murder after claiming he was just helping a motivational speaker kill himself, won a new trial Thursday in a case that tests the legal bounds of assisted suicide. An appeals court ruled that a Manhattan judge misinterpreted the law and confused the jury by limiting the definition of assisted suicide in Minor's 2011 trial. Minor's prosecution sparked a debate about assisted suicide in an unusual context - a knifing on the streets of East Harlem. Minor told police that Jeffrey Locker, a debt-ridden self-help author and speaker from suburban Long Island, approached him on the street in 2009 and asked for help in staging his death. "He said he was looking for a gun," Minor told CBS' "48 Hours" of Locker in 2012. "I asked him, 'What do you want it for?' and he was quiet for a second. Then he told me, 'I want you to shoot me.'" Minor said Locker, 52, wanted it to look like a robbery so his family could collect millions of dollars in life insurance. Locker had sent his wife an email about how to shield and distribute their assets. Minor, 41, said that Locker directed him to hold a knife against the steering wheel of Locker's car and that Locker then repeatedly lunged into the knife. Minor said later that Locker told him: "If you don't do it, someone else will. But this is getting done." The Manhattan district attorney argued that "this was murder for money." Minor was arrested after using Locker's ATM card, which he said was his compensation. He was convicted of murder, rather than manslaughter, and was sentenced to 20 years to life in prison. At the time, he said, "Mr. Locker is where he wanted to be." Assisted suicide is illegal in New York but is allowed as a defense to murder. Minor's attorney, Daniel Gotlin, said a second-degree manslaughter conviction would have been lawful. "Obviously, we're elated," said Gotlin. "Now we hope we can get a fair and appropriate resolution." State Supreme Court Justice Carol Berkman, who has since retired, told the jury that if Minor "actively" caused Locker's death, even with Locker's consent, it wasn't assisted suicide "because the consent of the victim is not a defense to murder." One juror said afterward that the judge's instruction led her to vote for a murder conviction. The state Supreme Court's Appellate Division said the judge's instruction "was confusing and conveyed the wrong standard." "Neither the word 'active' nor its antonym 'passive' appears in the statutory language," the appellate judges wrote, saying the instruction effectively "mandated a directed verdict of guilt" on the murder charge. The Manhattan district attorney's office said Thursday it was reviewing the ruling. Locker's family declined to comment, said his brother-in-law, Stuart D. Serota, an attorney.